Freedom from the grid, with a Multi-Fuel/Biomass burning stove that's unmatched in performance and versatility? 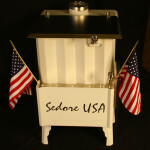 Click here to purchase your very own Sedore Stove. Have some questions about our product or want to find out more about who we are? Feel free to email or call us and we'll get back to you as quick as we're able to. The Sedore Stove burns environmentally clean with high heating efficiency, and extended burn times per load of fuel. There is no firebrick in this Stove, meaning that the heat radiates out of the Stove and into the room instead of being lost up the chimney. High efficiency heating means, less fuel consumption for the amount of heat produced. Environmentally clean combustion means, that the fire is burning all the smoke and gases, inside the Stove, producing extra heat and leaving little exhaust particulates and gases, released into the environment. To produce a simple and durable Multi-Fuel/Biomass Stove, lasting for decades while producing a maximum amount of heat, from an unlimited variety of Biomass Fuels. Sedore Multi-Fuel/Biomass Stoves are Off-the-Grid, and require No electricity. Thoughtful design, simple operation, and high quality craftsmanship, make the Sedore last many lifetimes.